We hear the same rumors and it would be remiss of us to be dismissive. We endeavor to innovate so they’ll continue to look to us as a supplier. We wouldn’t bet on the “continue to look to us as a supplier” part. So thought IBM until Apple ditched the PowerPC architecture and made a bold switch to Intel processors in 2005. So, is 2012 going to be like 2005? Only time will tell, but it’s intriguing that an Intel executive would actually comment on the rumors, don’t you think? That, in and of itself, is significant enough to warrant a post for the sake of the discussion. 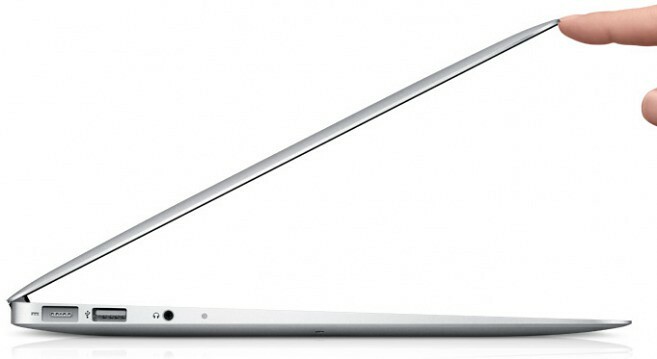 If you do believe your rumors, Apple’s testing ultra-thin MacBook prototypes that sport ARM chips and might not contain Intel’s Ivy Bridge platform at all. The benefits? Think thin, really thin, and power-savvy. ARM Holdings, a UK-based fables silicon firm, is known for power-efficient CPU designs they license to other companies. The vast majority of today’s mobile devices are based on ARM blueprints rather than Intel’s inefficient mobile processors. The world’s largest processor maker is very well aware that it fell behind in the mobile race. The company has not anticipated an explosive growth of smartphones and missed out on an opportunity to make up for lost ground with tablet chips. Today, if you’re building a tablet or a smartphone, you’re either Apple and therefore use in-house designed processors, or buy your chips from Nvidia, Samsung, Qualcomm or Texas Instruments. All those suppliers share one thing in common: The CPU part of their system-on-a-chip package is based on ARM’s blueprints. Apple, an early investor in ARM in the late 1980s, has a lot of experience incorporating those designs into their products, from the Newton PDA which was based around the ARM6-based ARM 610 architecture to the A4 and A5 chips. 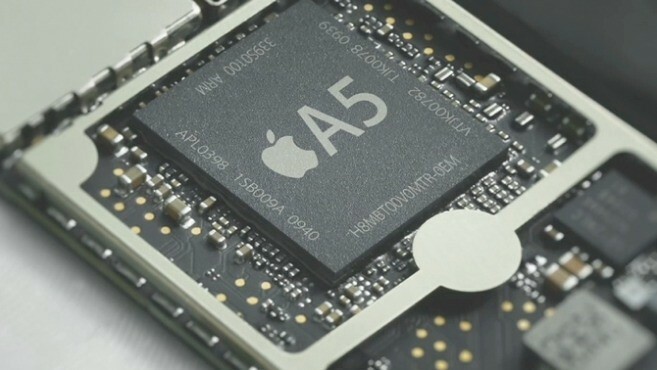 The A4 chip sports a single-core ARM Cortex-A8 CPU core paired with a PowerVR SGX 535 graphics processor built on Samsung’s 45-nanometer silicon chip fabrication process. The A5 has a dual-core ARM Cortex-A9 CPU with Neon SIMD accelerator and a dual-core PowerVR SGX543MP2 graphics unit. Both chips are believed to benefit from performance enhancements developed by chip designer Intrinsity, acquired by Apple in 2010.